This is the third and final part of the series, check out the first and second parts. The end of the NCAA Tournament signals the end of the college basketball season but in the weeks which follow, many coaches and die hard fans are still on edge. All of this anxiety can be directly tied to the decision that sits before some of the most talented players in the college game and whether they're going to return to school or enter the NBA Draft. For most of the lucky few that are talented enough to even be considering the NBA, this decision is complicated and in many ways driven by rumors and perceptions about which teams may or may not be interested in them. These 19-21 year-olds are forced to make a concrete and irreversible decision about their future when the information they're using to make this decision is anything but irreversible or concrete. I've never talked to an NBA GM but I would imagine that trying to get a straight answer out of most of them is about as difficult as trying to get Bob Knight to wear a tie when he's going to be on national television. The bottom line in most of these situations is that it can be difficult for some kids to gauge the market for their services and this can make their decision on whether to turn pro or stay in college a confusing exercise in reading between the lines and sifting through rumors to find facts. There are plenty of other factors involved in many players decisions and this includes their family life and whether or not some of these kids can afford to pass up guaranteed money in the NBA to retain their amateur status. At the end of the day, you hope that these kids have the right people in their lives who are giving them the best advice about their future. This annual soap opera which takes place from the end of March to the beginning of May, in which players announce they're testing the waters only to come back to school or plow full steam ahead and hire an agent, is intriguing but it can also expose the unfortunate side of the "one and done" mentality that is so prevalent in today's college basketball landscape. We've all seen talented college players who leave school early because of something an agent or executive told them, only to see the kid go undrafted and wind up in the D-League or playing overseas with two years of college eligibility gone to waste. This season's decisions will be further complicated by the impending NBA lockout which has many sure-fire lottery picks sticking around for another season in college while David Stern and the NBA Players Association sort through their differences. With that in mind, I've decided to make sense of which college players should and shouldn't declare for the NBA Draft based on their talent, how much they stand to improve if they stay in college, and where they are likely to be drafted if they were to take the plunge. In the college game Ashton Gibbs is a very nice player. During his junior season at Pittsburgh, Gibbs unconventional shooting stroke made him one of the nation's most deadly guys from long range, as evidenced by his 49 percent success rate from behind the arc. Gibbs was the best offensive player on one of the best teams in the country and on certain nights, he was simply unstoppable on offense. The New Jersey native has also begun to get more comfortable at putting the ball on the floor but he's far from a lethal penetrator nor does he have the kind of skill set that he needs to play point guard in the NBA right now. The departure of Brad Wanamaker, who was the team's primary playmaker and leader, certainly hurts Pittsburgh as a whole but it gives Gibbs a chance to show NBA scouts that he has what it takes to play the point effectively. Standing just 6'2'' and not possessing an incredible first step, Gibbs will have to hone his ball handling, playmaking, and leadership skills if he's going to be considered as a viable NBA point guard. 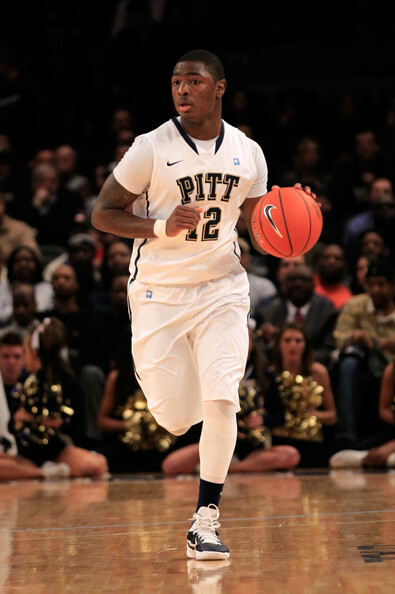 It might never happen for Gibbs, but another year at Pitt where he can be the unquestioned leader of Jamie Dixon's squad is certainly in his best interest as he continues to expand his game and become a more versatile player. Despite the fact that he played behind the Morris twins, Thomas Robinson caught the eye of NBA scouts with his impressive play off the Kansas bench during his sophomore season. The first thing that you notice about Robinson is that he has every physical trait NBA teams love. The 6'9'' power forward possesses NBA caliber length, athleticism, and strength which help to make him a menace on both the boards and defense. If Robinson were to declare right now, you would have to think that he'd be taken somewhere in the first round but with the Morris twins both deciding to leave Kansas, it presents an incredible opportunity for the rising junior to really boost his stock. As one of Bill Self's leading players next season, Robinson will be able to show scouts that he can be a go-to player on a very good college team while also continuing to improve a post game which could use some work. Robinson should have a monster year for the Jayhawks in the paint next season which could easily catapult him into the lottery while he improves his ability to score with his back to the basket and steps out of the shadow that was cast by the Morris twins. Now if only he could stay out of the news. 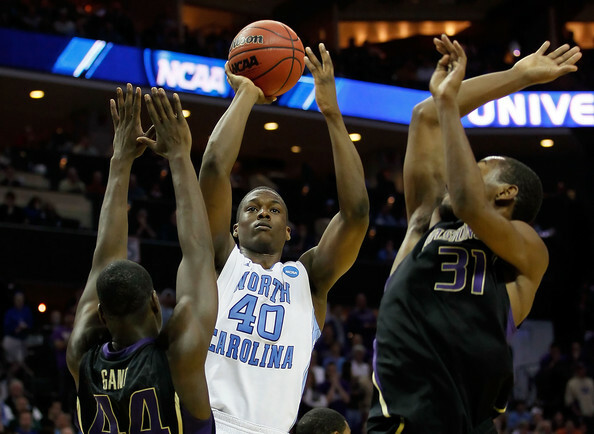 Harrison Barnes didn't quite live up to the expectations that awaited him at North Carolina this past season, but when you're the first freshman to ever be selected to the preseason All-America team, it's somewhat understandable. Much like North Carolina, Barnes struggled through the first half the season and many were ready to indite him as nothing more than an over-hyped player that simply wasn't ready for the spotlight. But starting with his 25 point performance against North Carolina State in late January, Barnes began to look more comfortable and be much more productive on the court. As the Tar Heels crept their way back into the Top 25 and Barnes continued to improve, it didn't take long for his draft stock to rise and for many scouts to remember what they loved about his game. Barnes possesses a true NBA skill set standing 6'8'' and being a very capable perimeter scorer who can also be effective when putting the ball on the floor. He's a very fluid player on the court who also has good length and can be a difference maker defensively. It certainly wouldn't hurt his draft stock if Barnes came back for his sophomore season and played like he did during the second half of his freshman campaign. But as things stand right now, Barnes is pretty much a lock to be a top five pick who not only has all the measurables that NBA teams look for, he also plays the game with an intelligence and intensity which make him that much better. Barnes is a special talent who certainly has the necessary combination of skills to succeed in the NBA and although his freshman season didn't go exactly according to plan, he showed during February and March what he's capable of doing. Barnes ended the season on a strong note and while it makes perfect sense for him to declare for the draft, he has opted to stay for another year at UNC. Barnes has already made it clear that his goal is to bring back another title to Chapel Hill, which should certainly make for a great season of college basketball. But it will be interesting to see what happens to Barnes' draft stock if he endures similar struggles like he did at the beginning of this past season and some of the other immensely talented prospects play up to their potential. Shelvin Mack is certainly an interesting case for this season's draft and his recent decision to test the NBA waters should only intensify the discussion about his future. Mack has played some of the best basketball of his life in the NCAA Tournament over the past two seasons in helping lead Butler to unlikely back-to-back title game appearances. Scouts expected big things out of the 6'3'' guard during his junior season but it seems that Mack created more questions than answers with his inconsistent play and uneven shooting. 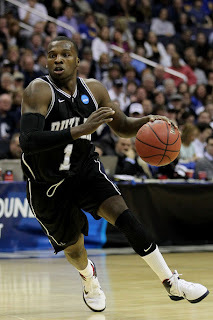 Of course, as he always seems to do, Mack had a few breakout performances against Pittsburgh and VCU in the tournament which showcased his deadly range and potential as a scorer. Even still, Mack projects as just a second round pick because of questions about his size and whether or not he will be able to play the point in the NBA. Mack could return for his senior season to try and answer these questions while putting together a more consistent overall year, but I question how much that would really help his draft stock. If he hasn't been able to break into the first round after leading Butler back to the title game this season, it doesn't seem likely that another year at Butler will help him to do so. The simple reality of the NBA Draft is that not everyone is a first round pick and Mack might fall into that category because he lacks the ideal size and athleticism that NBA scouts are looking for. Mack might not fit the NBA mold to a tee but he's a gritty player who has plenty of strength and can make an impact on both sides of the ball. Thanks to his second straight season of tournament heroics, his draft stock might be as high as it's ever going to be and Mack should seriously consider going to the NBA even if he's just a second round pick. Alec Burks entered his sophomore season with some fairly high expectations after scoring 17 a game as a freshman, and the 6'6'' shooting guard certainly didn't disappoint. Burks averaged over 20 points per game for a Colorado team that gave some of the Big 12's best a scare throughout the season and probably should have been included in the field of 68. When you watch Burks play, it's hard not to notice his NBA caliber athleticism and length which make him a great fit at the next level. And even though Burks struggled with his shot as a sophomore (29.5 percent from three), his ability as a slasher and penetrator which allowed him to make constant trips to the line this season should certainly translate to the NBA. Burks has a scorers mentality which makes him a very dangerous player when combined with all of the physical gifts he possesses. Scouts are questioning his relatively slight frame (195 pounds) and ability to consistently hit long range shots, but when you have a draft pool which is devoid of much talent at shooting guard, Burks is beginning to look more and more like a lock for the lottery with every passing day. 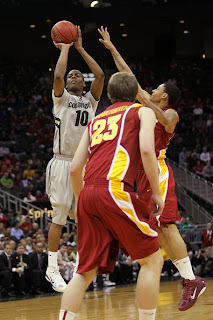 He's already got NBA-ready size, athleticism, and scoring ability and when you factor in the shallow pool of legitimate shooting guard candidates in this year's class, there's really no way Burks can come back for another season at Colorado. Terrence Jones got off to possibly the hottest start in college basketball this past season and because of how well he began his career in Lexington, there was early talk of him being the potential number one pick in the 2011 draft. But after experiencing a relatively disappointing second half of his freshman season, his name slid down draft boards. Despite the fact that he's no longer in the running for the number one pick, it's easy to see what NBA scouts like about Jones. He's just 19 years old but he sports an NBA-ready frame standing 6'8'' and weighing 244 pounds in addition to a ridiculous wingspan of 7'3''. Jones also possesses a very diverse offensive game which allows him to score equally as well with his back to the basket or from the perimeter. When you add everything together, Jones is a very nice NBA prospect who could play on the wing or around the basket and be successful in both instances. As things stand right now, Jones will most likely be a lottery pick and although he could come back to Kentucky to further fine tune his shot, there's not a great deal that he needs to work on at the collegiate level. Much like some of the other players on this list, Jones will almost certainly benefit from the overall weak talent pool in the 2011 draft and although this is reason enough to prevent him from returning for his sophomore season, he's also a very good player who appears to have everything necessary to succeed at the NBA level.